Following the many different actions which took place during the Open Access Week in October 2012, Alexandre Wajnberg, who is presenter of the radio programme “Sciences sans Conscience n’est que ruine de l’âme, oui mais Conscience sans science n’est qu’un vilain gros mot !” on Radio Campus (FM 107.2), hosted by Université libre de Bruxelles, invited Cécile Gass and Françoise Vandooren (ULB) to talk about Open Access on the radio. During the discussion, many issues have been addressed, such as : what is Open Access? How was this movement born? What are the causes? 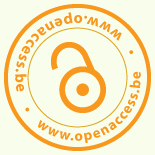 What is at stake with Open Access ? Why is it important for the scientific community to regain control of scholarly communication? What can they do?